I have owned my Clarisonic Sonic Brush for about 7 years now. I have always kept up with the company's latest developments. My surprise when I heard they had a brush head to fit on the end of ALL of their Clarisonic Facial Cleansing Devices. This Sonic Foundation Makeup Brush lets you blend a flawless makeup look in 60 seconds or less. It uses a patented oscillation technology that generates more than 18,000 micro-blends per minute. The makeup brush gently provides a flawless, full foundation coverage look in 60 seconds or less. What I love about this brush is how quick my makeup is on. Usually I spend 5-10 minutes with the sponge, but this does it in less than one minute. That is with powders, creams, liquid, etc. The above is a powder foundation that I have been using with the Sonic Foundation Makeup Brush and I just love how it puts the foundation on. It works very well with the cycles of the natural brush. You spend 30 seconds on the chin and nose and 20 seconds on my cheeks. My face ends up looking very good. 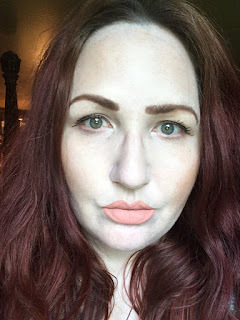 I have tried liquid foundation too and it went on very well. Cleanse it with shampoo or brush cleansing liquid and rinse well. 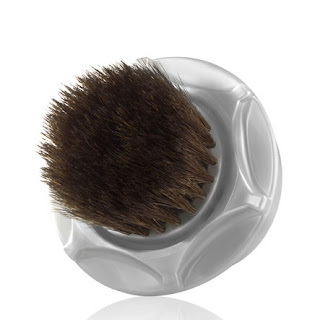 The Clarisonic Sonic Foundation Makeup Brush retails for $35.00 and fits on any Clarisonic Cleanser. It may be purchased online at www.clarisonic.com or anywhere Clarisonic is sold, such as Ulta Beauty.